Tales From A Geordie Goth : My First Vampires Soiree: Love and My Favourite Vampires. 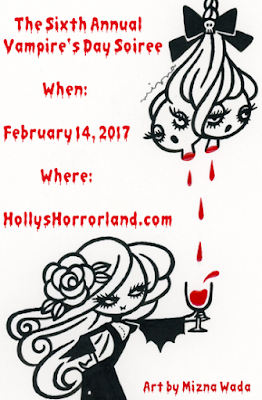 My First Vampires Soiree: Love and My Favourite Vampires. This is my first Vampire Soiree and anything which distracts my attention from this most hideous of days is always good. I'm not against the celebration of love. It's one of the things I believe in the most and the transformation it has on people. During these darkest of times, it's what we needed most. I believe in love it should be celebrated throughout every second of every day and be practised throughout with the simple gestures of time, need and in compassion; rather than one day that wreaks of falseness and consumerism purchasing a rubbish card stating how much it loves you with a generic poem. It should be them small gestures of where you've had a crappy day, and the other half smiles at you, hugs you and makes you an Earl Gray tea means far more to me than anything else. My ramblings aside, we're here to discuss vampires. Like most of the dark of community, I've been that teenage girl, fantasising of being wooed by the Byronic and romantic vampiric sweeping me off my feet and being turned, (I was 15 years old when I had this dream). Technically, my other half has vampire-like qualities, a love of red meat, he gets slightly bitty with the lack meat consumption, averts sunlight at all costs, only comes alive after sunset and transparently pale. In recent times, I've enjoyed the recent surge of vampire movies, and the new portrayal of them. My favourites were Eve and Adam from Only Lovers Left Alive they brought an entirely new elements particularly their tenderness and hunger for each other giving a refreshing take on the notion of vampiric romance. A quick summary of the film is about relationships and love of the vampires Adam and Eve. How their relationship has survived for centuries and how they deal with living in the modern times, yet retain some of their ancient customs. The movie starts with Adam and Eve living in separate countries Adam in Detroit and Eve in Tanger. Adam is feeling melancholic about the world and contemplating sucide, even in his passion for music, he finds little happiness. Eve is so concerned about his state mind she travels to be with Adam in Detroit. They are more than content existing in their own world together everything is going beautifully until Ava's Eve's haphazard and wild sister comes to town and creates turmoil for the couple. It's a sophisticated gothic tale of vampire romance and some dark high brow humour. Their relationship captures both humanities of light and dark qualities. I quite like how they've chosen to captured Adam with dark hair and clothing along with his personality representing the darker and destructive side. He's suffering from melancholy causing him to be suicidal. He lives a very reclusive life from people tries to find solace in collecting rare instruments and producing music; his attempts to find happiness are blocking his creativity with his depression. In comparison, Eve is far more lighthearted, adventurous, free spirited and attempts to integrate with her surroundings. I like how this was captured with her clothing and hair colour.She is more polite, gracious, with a playful manner and zest for life. Where Adam comes across as stern, intense, and solemn; he is always cautious about people knowing of his existence. However. he does show emotion while interacting with his instruments. Adam seems to resonate in the past and makes more creative uses of his electronics and inventions. Eve is much more up to date using just her mobile phone. It's the first time, Adam seems to lighten up with a glint of happiness in him and he shows a far more caring and sensitive side; particularly when he describes " Zombies and them way they treat the world". Eve seems to bring him out of the darkness and gives Adam pleasure. Eve seems to be the more resilient, stronger and more rational one in their relationship. Once they meet up, they felicitously gaze which speaks far more than words could. They intensely and passionately embrace each other bathing in each other's essence and how deeply they are connected. They are two being converting into one existence that needs to each other as much as they need blood for survival. The relationship is furiously wild. yet beautifully tender and restraint with the chival style gestures; such as Eve awaiting for Adam to sensually remove Eve's glove addressing each other as Lord and Lady. Their relationship seems to work, despite being completely different; they still, support and respect each other's different interests. Adam loves music and science where Eve is fascinated by literature and nature. They both seem to share mutual intellect and wisdom that complements and challenges one another. I love the fact that, their relationship has continued and grown for centuries and still, they make it work. I like how they need each other so much, but they retain that sense of self and function without being together, as well. My favourite part is the intensity and passion they experience just by simply being with each other whether it's going for a mundane activities from a drive, nightly stroll or playing a game of chess, the relish every moment of it. Also, how one is they respond when things go wrong. For example where Eve's sister, Ava, kills Ian and they work together to solve the issue by throwing Ava. Then, plan to dispose of Ian's body. I think the best part demonstrates their strength and compatibility, when Eve finds Adam's gun with the wooden bullet ready to commit suicide and Eve address the issue. By placing the gun over her chest and terrifying Adam into retaliation of empathy from her point of view. I enjoyed how she scorns him but reassures him pulling out of his melancholy stupor, reminding of why things are worth living and encouraging him to dance. I think their relationship portrays the ethereal beauty of love through time and they delight in each other company. whether physically being together or not. Yet it feels, so human and tangible through the challenges their relationship endures it reflects the emotions relationships encounter and how a healthy relationship deal with it. Adam and Eve's relationships represent how I feel love should be practised by comforting each other during their weakest moments and celebrating through simply being with that person. I've never seen Only Lovers Left Alive. In fact, I've never heard of it, which is not very unremarkable for me, since my weakness for books rarely leaves time for more than a handful of movies a year. But I might have to give this one a chance, your bit about how it explores the dark and light of a relationship got me interested. I haven't gotten around to seeing 'Only Lovers Left Alive' either, although I've heard good things, and your review has further piqued my curiosity. I've always been a miserable git when it comes to celebrations. I just don't like holidays but I think it was working in health care and spending every moment at work when everybody else was celebrating. I think the anti-consumerism becomes fashionable at the moment, it seems to be liberal and sticking people's fingers up an establishment seems to be used for a trend. I don't hate anyone for celebrating Valentine's day I normally don't rant on about this anymore as there way too many people doing it. I'm so bad for celebration I barely remember my partners birthday or our anniversaries. I'm that bad lol. It sounds like a lovely way of spending the day with your family. I've admitted I still like red and black. 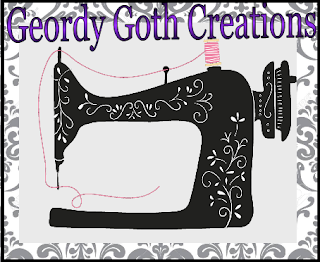 At the moment it's purple black and grey I like the concept of the Vampires Soiree. Really, wow, it's a great Anglo/ American movie and it's completely different to a lot of the vampire genre it's very subtle, understated and slow in some places but it's amazing. I saw this film and I've got to say, I really enjoyed it. Thanks for the memories! I fell under it's spell immediately it was so difference compared to other vampire movies I've scene. Glad you enjoy it. Thanks for commenting. I've still not seen this film, though it is on my list for one day. I remember the good reviews and some of the clips from it when it first came out. One of the film reviewers I like to watch on the film show was most enthusiastic about it. I will get to see it one day. I hightly recommend the film it's an beautiful film but it's done in such a simple and realistic film. I think in the future it will end up a cult movie. Wow, that's an interesting way you viewed I never really saw it from that perspective. I guess it's interesting that everybody will see it from their point view.I would never of associate it with hipster elitism, I missed that one. I enjoyed the simplicity and the various sound tracks that enhanced certain scenes. Also, the performances of John Hurt. Wow, you've made me rethink about the movie in a different view. I totally get where Jade is coming from, in fact, I always thought Eve was a little too 'hipster - ish' and perhaps a little too...'out there'. Maybe because Adam's personality is pretty close to my own, so it's easier for me to relate to him and can't quite grasp Eve's fascination with life. Like I said that's what I didn't see but I like how you are sharing that point of view . My impression is Adam is far more reserved and quiet where Eve I think it more outgoing.I feel like I can I relate more to both character to a point and as I'm a introvert extrovert which is odd. Like so many of these things it's all objective, and I'm really curious about how other people viewed this movie. Nah,'extroverted introverts' are a thing, so I understand what you mean^^ I get Eve's character too, I just can't relate to her. Great post! 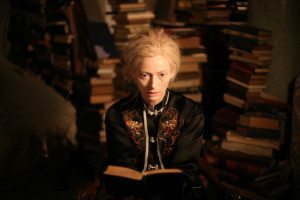 I'm a huge fan of "Only Lovers Left Alive" too! I've seen it several times and never tire of it. Thank you I absolutely love that film and I love the relationship of Adam and Eve. I adore both of the characters. I really need to make time to watch this one. Oh this film was recommended to me by Debi of Puddleduck Grange. So glad you enjoyed it. I'm annoyed with myself for missing this years soirée 😒 Great post! Thanks you. I highly recommend you can even watch it on Youtube. Tilda Swinton makes a great vampiress. I heard one of the songs I posted, Soul Dracula, is in this movie too. I'm going to watch it soon. Thanks for attending the Soiree! I agree with you on Tilda Swindon. I love it's refreshing take on vampires. It's one of the best movies of it's genere in recent times.it was Fun participating and I should be back next year. Hmmm maybe will have to see it again XD saw quite a lot of Vampire movies in February but to me nothing will ever be able to be as pefect as Interview with the vampire ^^ still can't hurt to see a good one!